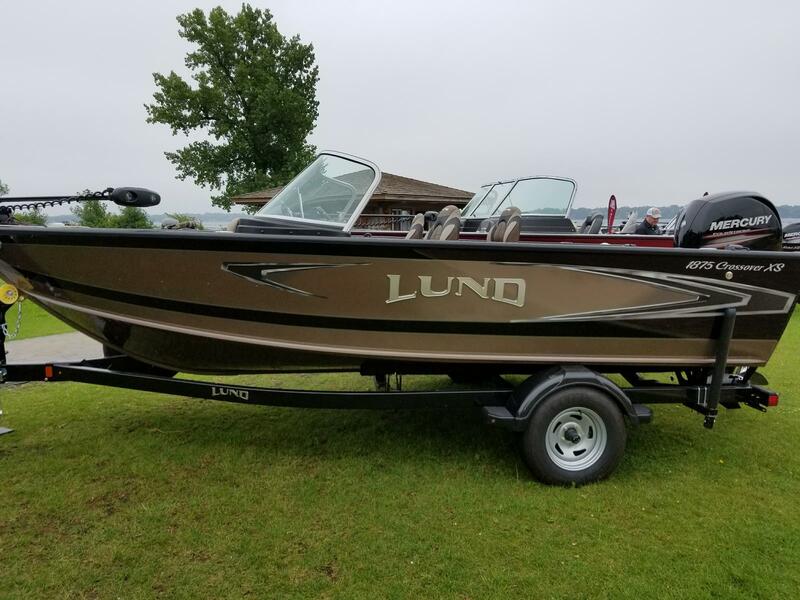 This Lund 1875 Crossover XS is a Fresh 2019 and is gorgeous with the Black and Satin Beige accents and bottom. This on is powered by a Mercury 150 XL 4-Stroke EFI motor for best in class performance. The additional options are the Ski Pole. The upgraded hydraulic tilt wheel steering makes this rig steer with ease. To keep your new Lund clean, this one already has the Custom Travel Cover. When you are ready to add the kicker motor, the fuel pickup is already included on your new 1875 Crossover XS. The trailer has brakes, swing tongue, load guides, spare tire and bracket, Lund Guard included.